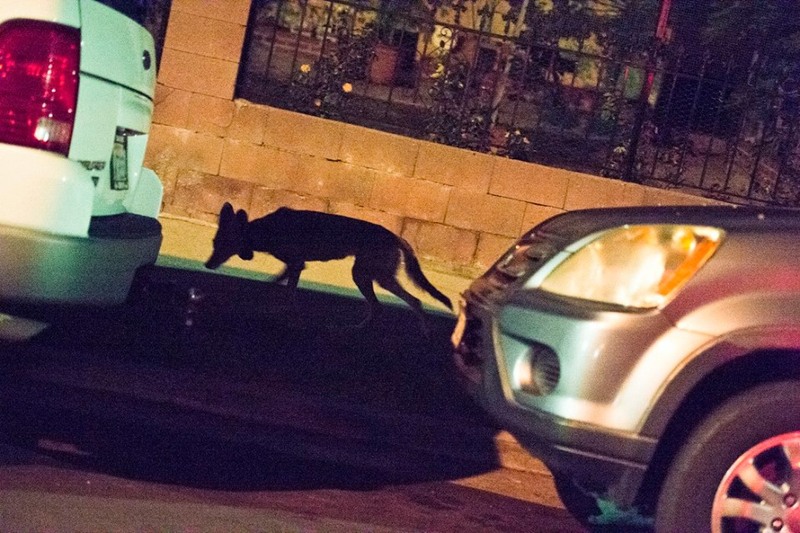 The only thing more elusive than an urban cowboy is an urban coyote, and researchers in Los Angeles are now hoping to shed some light on how these fish-out-of-water creatures are surviving in the expansive SoCal metropolis. 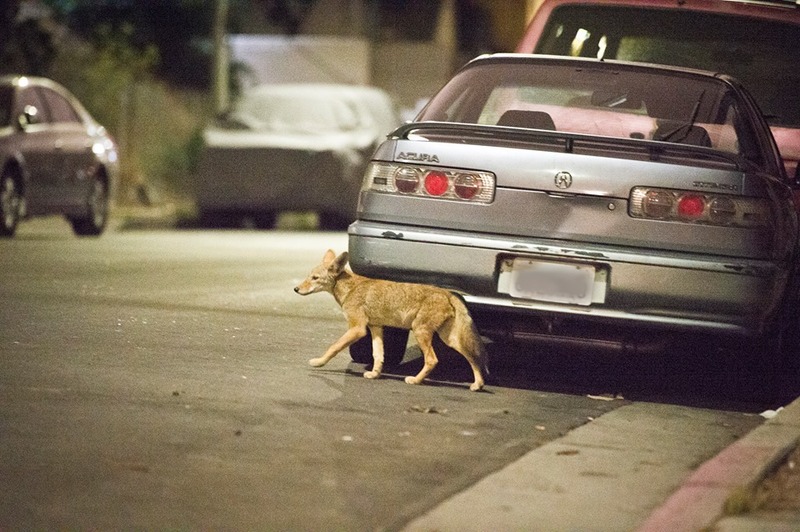 On Tuesday, the National Park Service outlined the efforts of scientists from the Santa Monica Mountains National Recreation Area to better understand how coyotes live and move in the concrete jungle. 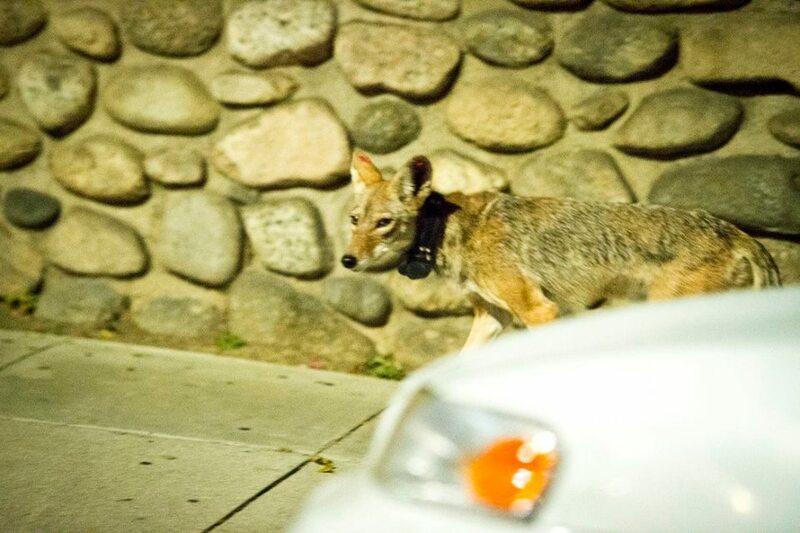 In May, two coyotes were captured and outfitted with GPS collars to track their movements and the data has already brought back surprising results. 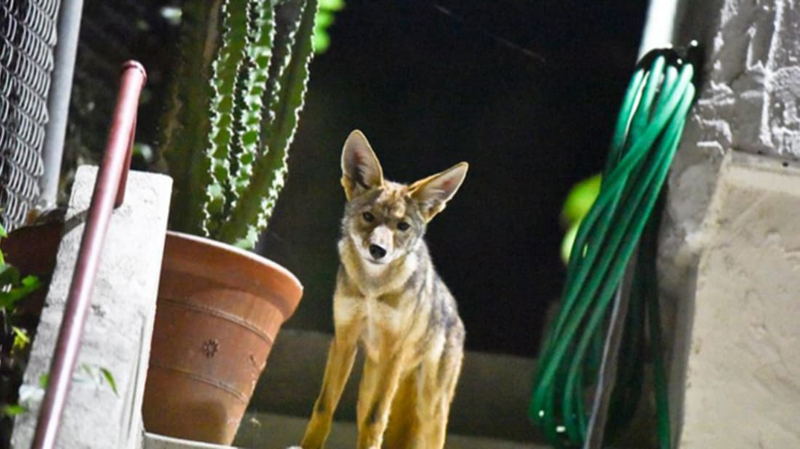 "From just a few months of data, we now know that coyotes are persisting within home ranges that have high human densities and little natural habitat, which is quite remarkable,” said biologist Justin Brown, via the news release. Affectionately named C-144 and C-145 (designated as such because of the 143 coyotes tracked before them), the two are lone wolves. C-144 is estimated to be 2 or 3 years old, is raising at least five pups, and spends most of her time in the densely-populated area of Westlake. 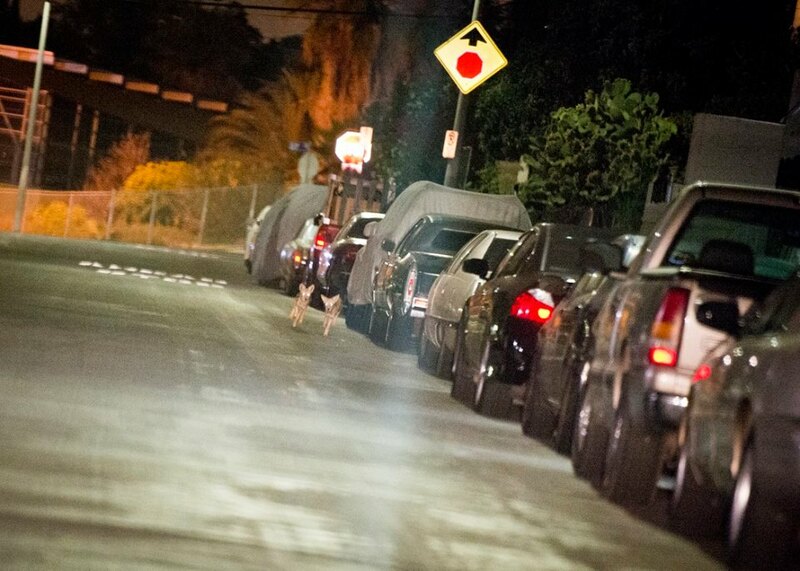 She crosses the infamous 101 Freeway often, which in the past has proved to be a difficult byway for other wildlife, and it’s still unclear whether C-144 is traversing the pavement outright or finding alternative routes. 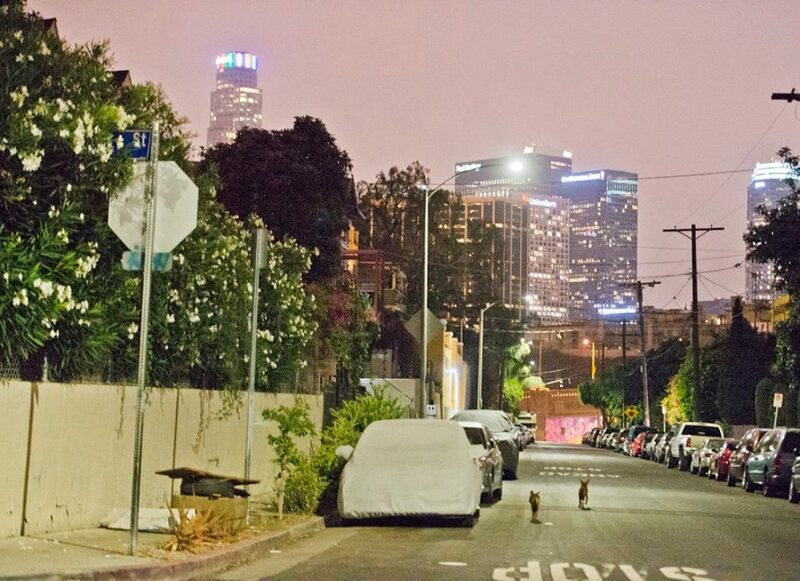 C-145 is between 4 and 8 years old and spends much of his time in the Silver Lake neighborhood, and unlike his counterpart, has not crossed any surrounding freeways, opting instead to spend time in residential and natural habitats. 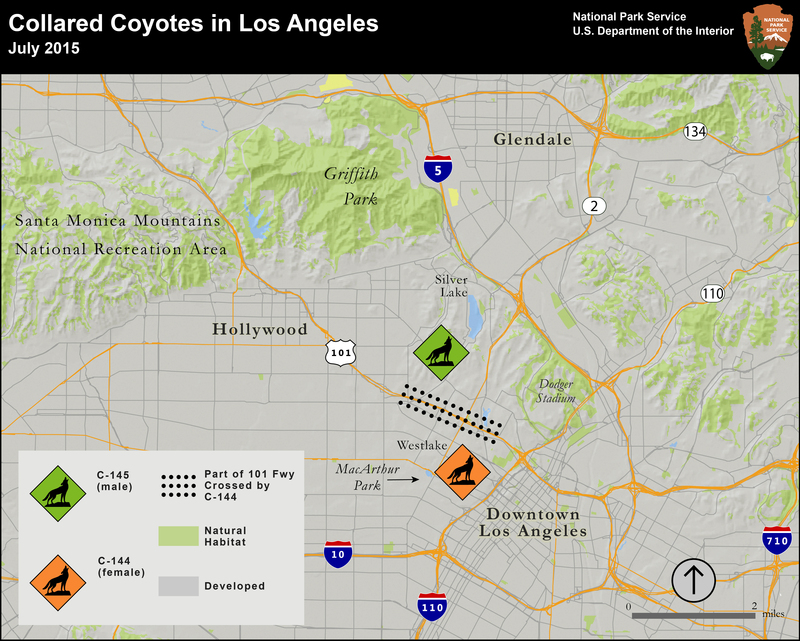 The fact that the coyotes are staying in more developed areas in lieu of available parks is in direct contrast to coyotes that were studied in the past. 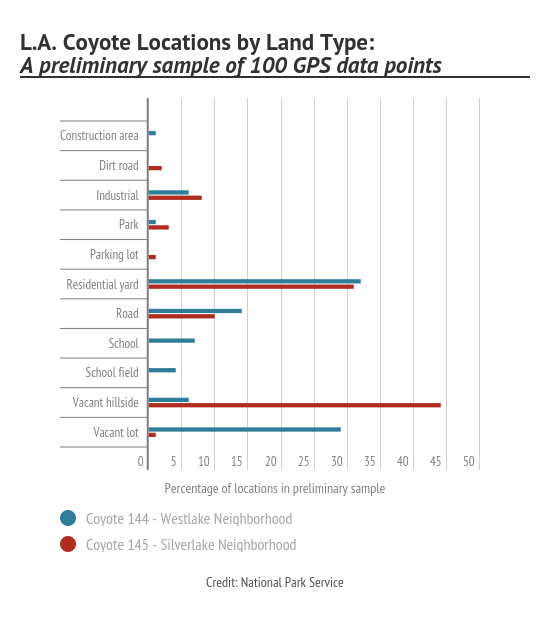 C-144 and C-145 seem to be avoiding “natural” areas, and traversing “altered” landscapes like dirt roads and vacant lots instead. 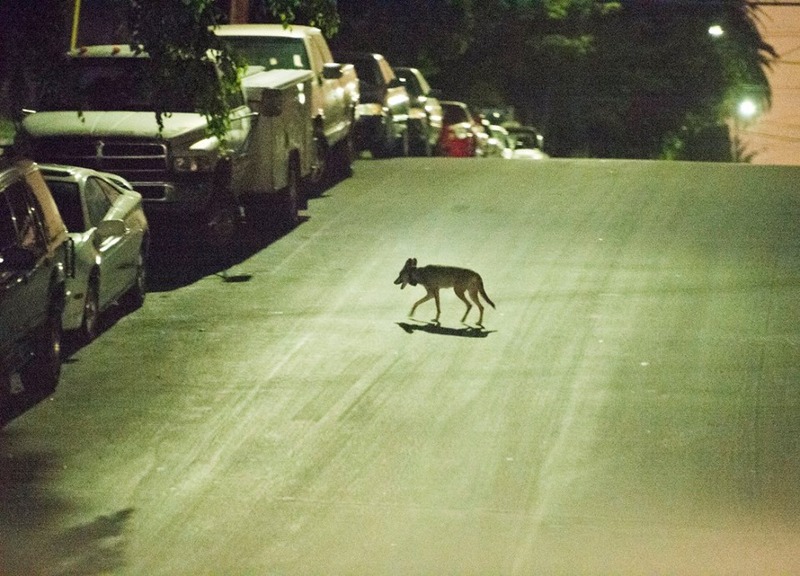 Over time, researchers hope to gain greater insight into how the coyotes are interacting with the landscape and what sort of conflict—if any—is coming from humans. 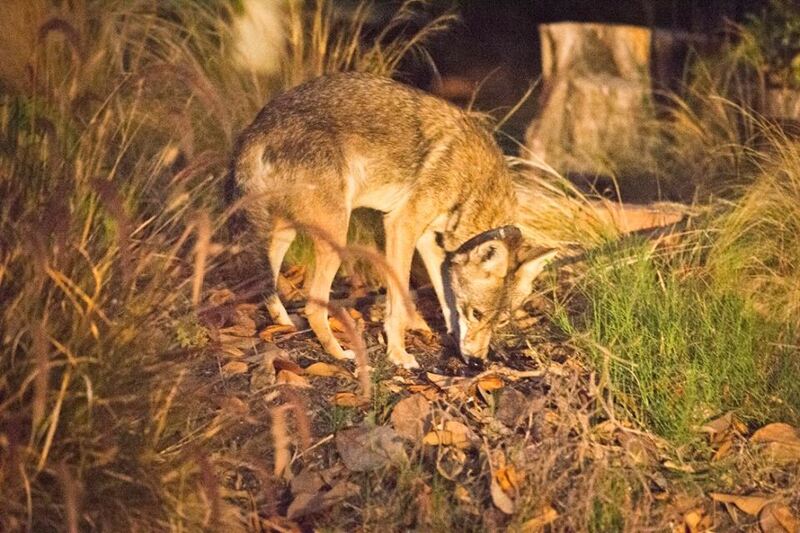 While the animals can be quite stealthy, the NPS has managed to sneak some shots of the coyotes in action, and posted the shots shown below on the Facebook page of the Santa Monica Mountains National Recreation Area.